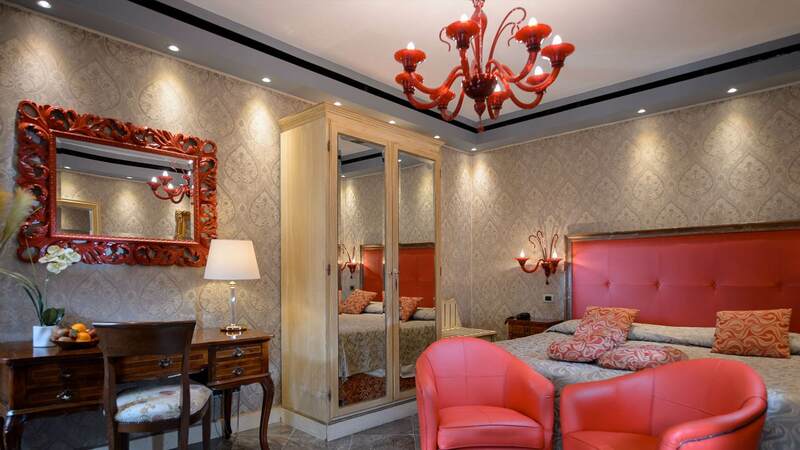 The charm of Venice gracefully invades the rooms of the 4-star Hotel Santa Marina decorated with an original mix of styles combining classic details with contemporary comfort, and surrounded by the quiet romantic atmosphere of Rialto and San Marco. 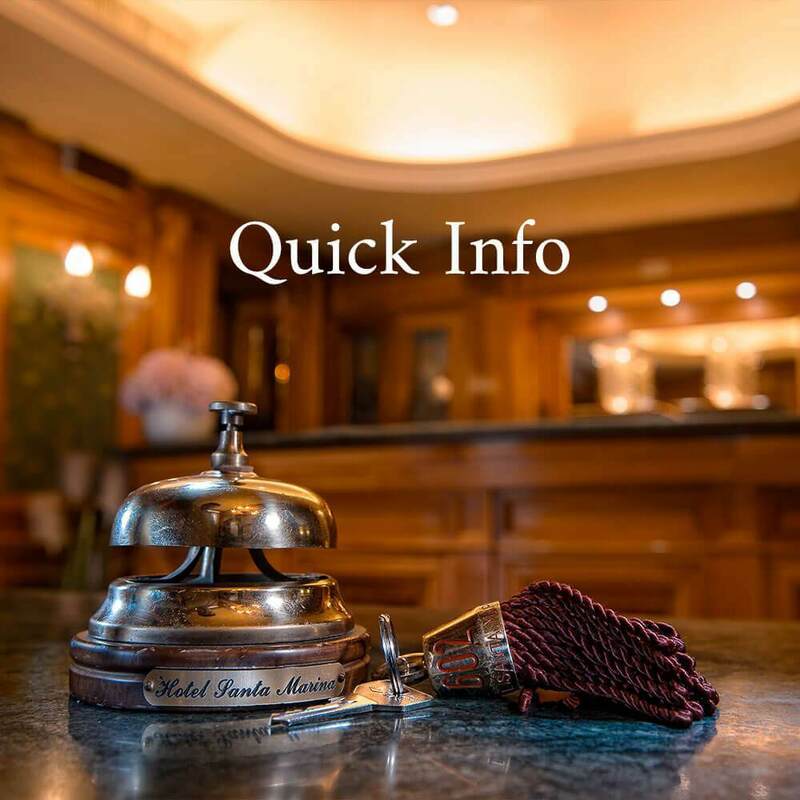 Meticulous attention has been given to every detail in an effort to offer a relaxed pleasant stay, with all the amenities; all rooms are equipped with satellite TV, direct phone line, and autonomous air conditioning from May to September. The rooms come in different types (Classic, Superior and Junior Suite), differing in square footage and number of guests allowed; all rooms maintain a high level of quality and have private bathroom equipped with hair drier, shower, or bathtub. Upholstered in fabrics with soft, relaxing colors, the different sized rooms are decorated with an original mix of styles that combine classic details and contemporary comfort. Some of them with a view of Santa Marina square and others of an internal courtyard; rooms are available with a double bed or two single beds. Each room has a private bathroom with tub or shower. 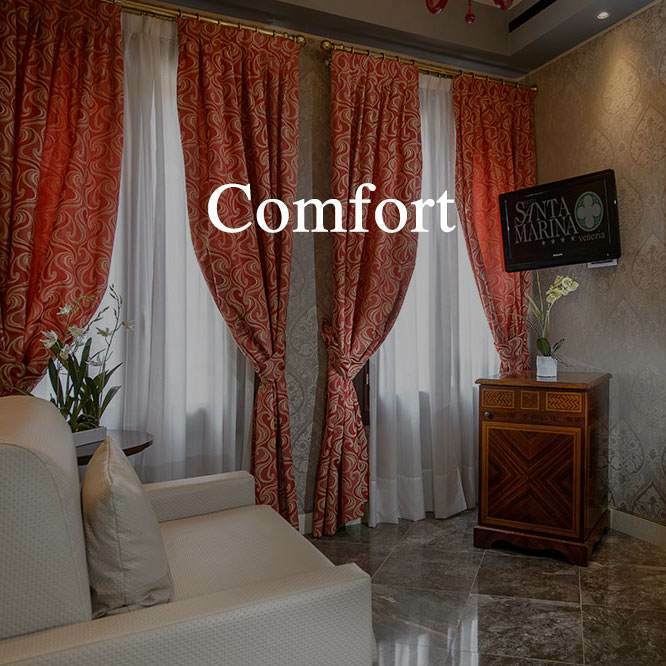 Splendid, charming rooms with wood floors or wall-to-wall carpeting, distinguished by color, size and furnishings, all Venetian style or with elegant walnut wainscoting. Have a shower or hydromassage tub. Available with a double bed or two single beds. For a romantic hotel vacation, we offer exclusive, comfortable suites decorated in the style of the Superior rooms and with a small sitting room where you can relax. Several with beautiful views of the canal of Santa Marina, with shower or bath tub. Splendid!